At first thought game shears may seem insignificant, but they really are handy tools. They make dressing small game and fish easier, cleaner and safer than with a knife. The leverage of the blades makes cutting through skin, bone and cartilage a snap. 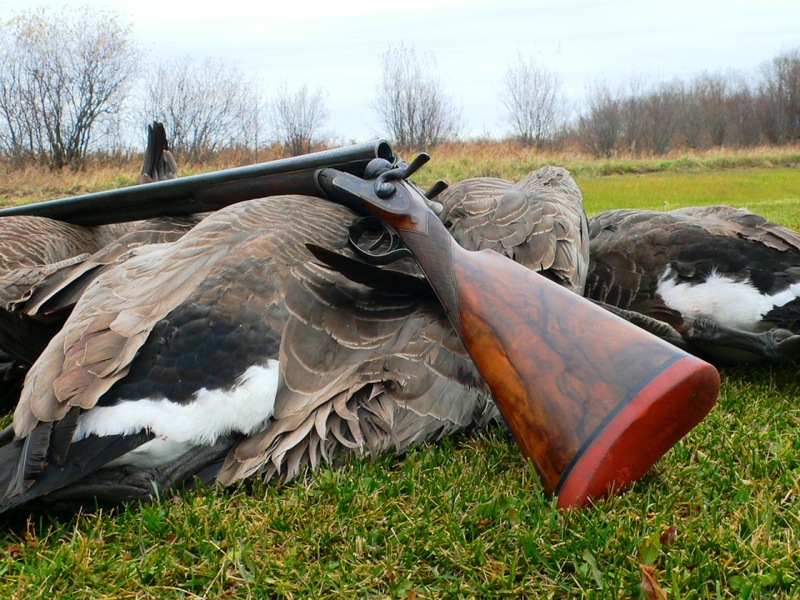 Keep a pair in your vehicle or game bag or sheathed on your belt for field use. We acquired five pairs for testing and sacrificed a few broiler hens and wild-turkey wings to see which made the cut. Sometimes basic is best. 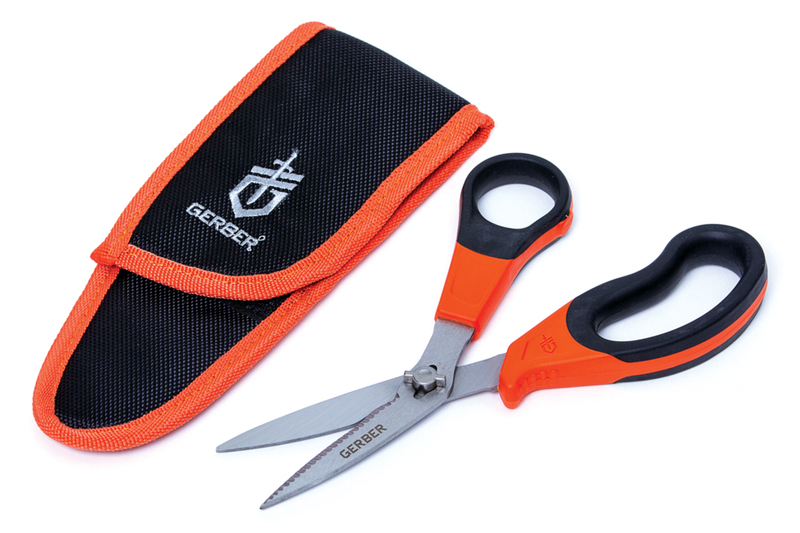 Gerber’s Vital Take-a-Part Game Shears don’t have the bells and whistles that some other shears do, but they get the job done. The ergonomically designed handles are comfortable, and an exterior index-finger rest allows for added control. Rubber overmolded grips are soft on the fingers and thumb. The blades are small enough to delicately snip skin, and a serrated edge and bone notch allow for gripping and cutting stouter materials. The blades also come apart on a pivot pin for easy cleaning. The short overall length (8”) and light weight (4.6 oz) make for easy carry in the included fabric belt sheath, and the orange handles are highly visible when set down. Price: $16. The Camillus MultiFunction Game Shear can perform a variety of tasks. The steel blades are titanium bonded for rust resistance and are said to remain sharp longer. 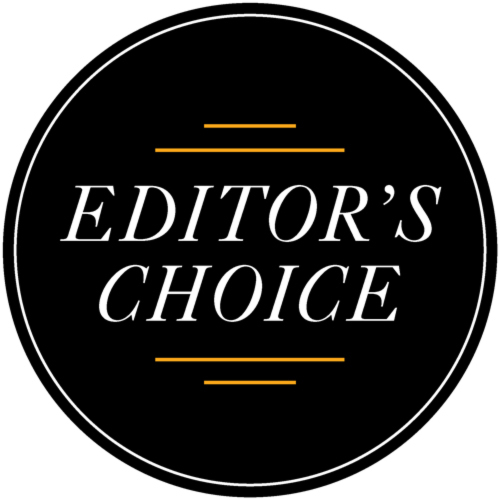 Serrated edges and a bone notch serve for gripping and cutting—both skin and bone. The ABS handles are uncomfortable, and the 9” shears rattle loosely in the plastic belt sheath—and likely would fall out. Bonus features include a saw blade, jar opener, nutcracker, bottle opener and two flathead screwdrivers. The handles also detach for easy cleaning. 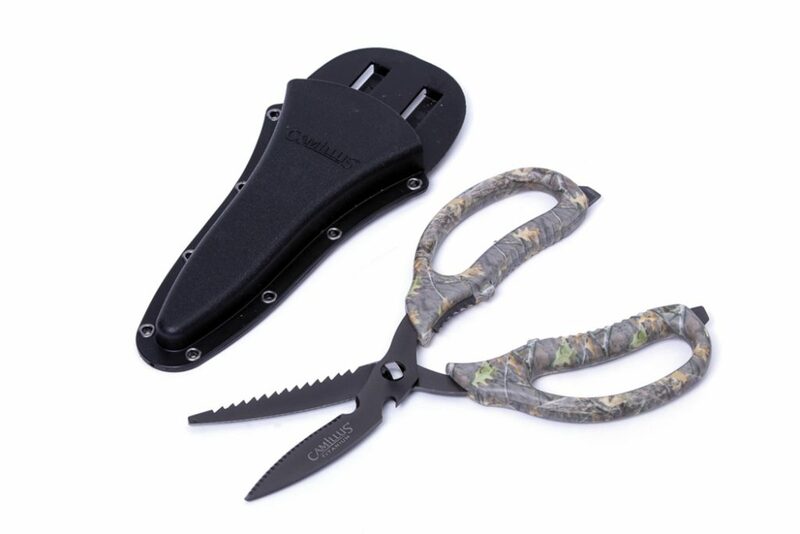 Just don’t set down these camo shears in the field and walk away. Price: $16. 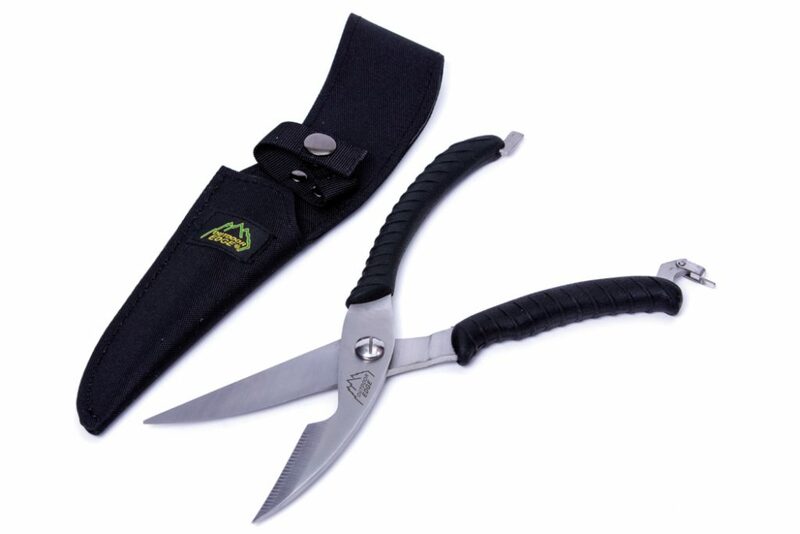 Outdoor Edge Game Shears are built for heavy-duty tasks, such as field-dressing larger birds, quartering small game and cleaning fish. The handles are rubberized and spring-loaded, and though the absence of finger- and thumbholes means extra leverage for serious cutting, it makes finer snipping awkward. A serrated cutting edge and bone notch aid in severing thick materials. The handles are held together with a latch when not in use, and they do not come apart for cleaning. The shears’ overall length (10¼”) and heft (12 oz) make them a bit unwieldy for carrying in the nylon belt sheath. Price: $25. Kershaw TaskMaster Shears can serve multiple functions around camp. Unfortunately, although the conventional-scissor-like stainless blades are fine for delicate cutting, the serrations are so shallow that the blades slip on thicker material unless the bone notch is used. The overmolded grips are non-slip and comfortable, and the handles unhinge for easy cleaning. Additional features include a nutcracker, jar opener, lid lifter/bottle opener and two small flathead screwdrivers. 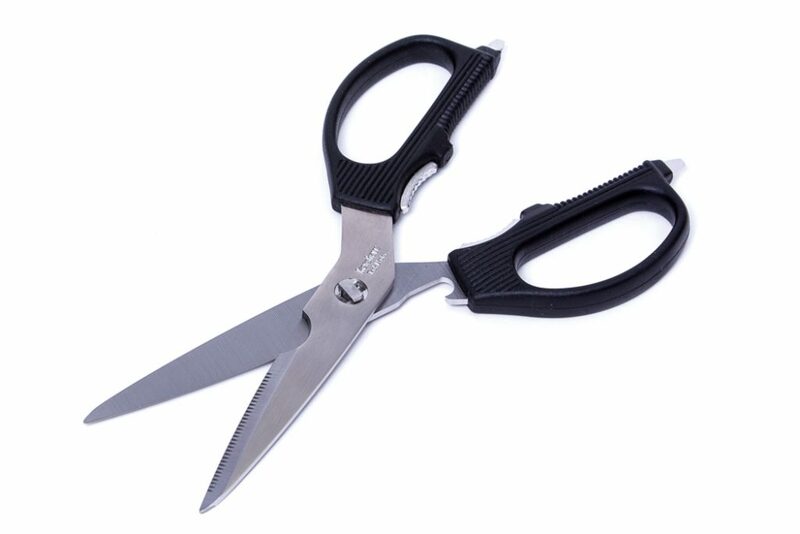 The shears weigh 5.1 oz and have an overall length of 8.9”, but they do not come with a sheath. Price: $55. To be fair, FAMARS’ Fiore Knife & Multi-Tool was fashioned more for clipping rosebushes than bird wings (“fiore” means “flower” in Italian), but it serves well in the field. 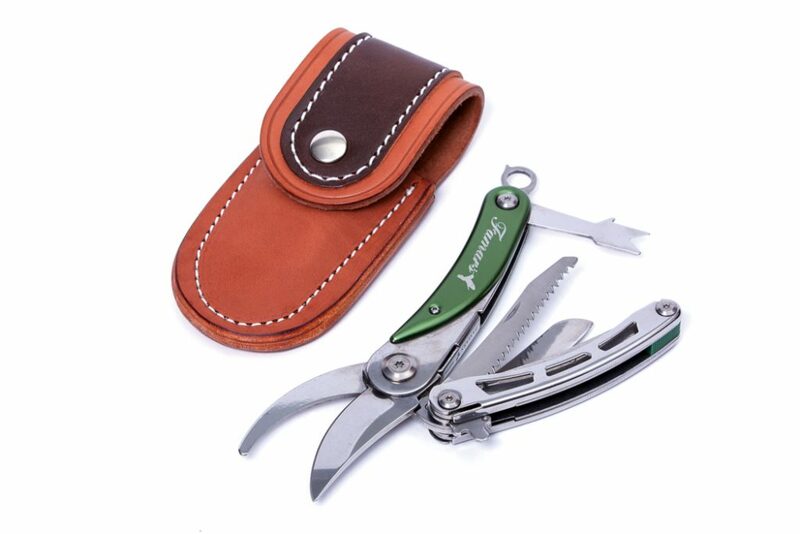 The spring-loaded pruning shears are on the short side and, though they lack serrations and a bone notch, their curved design helps them hold and slice through feathers and bone. Additional tools include a knife blade, saw and weed remover. The Fiore Knife is compact (5.1” closed), weighs 9 oz and carries easily in its handmade leather sheath. This is a limited-edition tool and comes in a presentation box with a certificate of authenticity. Price: $85. Cutco, shears and filet knives are some of the best I have ever used. Great warranty and will sharpen knives for free. an advertisement, it is appropriate.